One of the great benefits of starting up a side hustle is the ability to get paid as an independent contractor. When you consider all of the sweet benefits you get from side hustling, you have to assume that the government must want us to side hustle. Take tax deductions, for example. The government lets you deduct expenses related to your side hustle for things you might already be doing anyway. With a little planning, someone driving for Uber in their spare time could easily offset some or all of the costs of driving that they’re already doing anyway. Perhaps the most amazing thing that the government lets you do as a side hustler is to save money into extra retirement accounts that other people don’t have access to. Start up a side hustle and you can save some- or in some cases, almost all of your side income – into a Solo 401k, a SEP-IRA, or a Simple IRA. And depending on how much you make and what type of retirement accounts you already have, you could potentially save thousands more per year in tax-advantaged savings. I’ll have four tax burgers, one IRS-wich, withhold the lettuce, three dependent size sodas, and a FICAccino. I’ve always assumed that these type of accounts were only available to people running “real” side businesses. For whatever reason, it never occurred to me that an Uber driver or a Postmates courier could also contribute to these accounts. But yes, even a delivery person for Postmates can potentially save away thousands of extra dollars per year in a way that a big-wig working a normal 9-5 can’t do. This year, I finally got around to setting up a Solo 401k for myself. I haven’t calculated my final totals for the year yet, but for sure, I’ll be able to contribute well over $4,500 in tax-deferred savings. By opening up a Solo 401k, I’m creating a bonus retirement account for myself, giving myself years of tax-free growth, and best of all, reducing my tax liability now. And this is all from doing nothing but lowly on-demand, gig economy work. 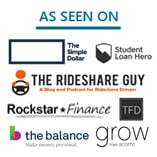 If you’re doing Uber, Lyft, Postmates, DoorDash, Rover, or any other sharing economy type gig, and you haven’t set up a Solo 401k, you’re totally missing out! What’s A Solo 401k And How Can You Use It? Most traditional employees will have access to just two types of retirement accounts – a 401(k) through their employer and an IRA or Roth IRA. If you’re a little savvier, you might sign up for a high deductible health plan and contribute to a Health Savings Account. But, if you’re really savvy, you might pick up an easy side hustle and create yourself another retirement account with a Solo 401k. The mechanics of a Solo 401k are fairly straightforward. If you’re earning income as an independent contractor, you’re eligible to create this type of retirement account. Basically, you’re creating a retirement plan for your own independent business. There are two parts to it – the employer part and the employee part. As an independent contractor, you’re basically both the boss and the employee of your own little business. For someone like me, a Solo 401k is perfect because it lets me save the most money. My day job doesn’t have a 401k – instead, I have a 457 plan at work. The IRS calculates the contribution limits for a 457 separately from contributions to a 401k. This means that I can max out my 457 (up to $18,000 per year as of 2017) and still contribute almost all of my side hustle income into a Solo 401k, treating it as my employee contribution. Not only does this give me the benefit of compound growth, I also get an immediate return by deferring all of the taxes on that income at a point in my life when I’m in a pretty high tax bracket. A Solo 401k also makes sense for me because of my expected income growth. By keeping my side hustle income in a Solo 401k, I don’t have to worry about any pro-rata rules messing up any future backdoor Roth contributions in the same manner that using SEP-IRA would. The process of setting up a Solo 401k seems like it might be complicated, but it’s actually pretty easy. I ended up going with Fidelity for my Solo 401k because they have no administrative fees and you can invest in very low-cost index funds. When you’re ready to start your Solo 401k, you can check out my step-by-step guide that I wrote about how to set up your Solo 401k using Fidelity. Vanguard is also a fine choice, but they charge you $20 per year for each mutual fund you invest in. Since I only make a few thousand bucks per year worth of side hustle income, that fee doesn’t seem worth it to me, especially when I can get essentially the same thing for free elsewhere. To set up your Solo 401k plan, you’ll need to first grab yourself an Employee Identification Number, or EIN. You can grab one online through the IRS website. I got mine in just a few minutes. After that, I went to Fidelity’s website, where I filled out an adoption agreement and an account opening agreement. I then mailed the forms out to Fidelity. My Solo 401k was set up just a few days later. I haven’t contributed anything to it yet because I’m still working on figuring out how much I ultimately made this year after any deductions. The deadline for me to contribute is my tax filing deadline, which for me, is April 15th. *Note that if you’re trying to set up a Solo 401k for this year, then you’ll need to do it right away. If you’re looking to make contributions from your side hustle earnings in 2017, you’ll need to set up your Solo 401k by December 31st. Once its set up, you have until your tax filing deadline to make your contributions. It took me just 2 days to get everything set up, so even if you’re running close to the end of the year, you can still get your Solo 401k set up. Treat Your Solo 401k Like A Bonus Retirement Account. The absolute best way to use your Solo 401k is to treat it like a bonus retirement account. If you’re already maxing out your 401k at work, then, unfortunately, you won’t be able to put in quite as much. That’s because you’ll only be able to make employer contributions to your plan. I’ll go more in-depth some time about how much you can contribute to a Solo 401k in a future post, but basically, for the employer contribution side, it’s about 20% of your profits for the year. Still, someone making an extra $5,000 in a year and already maxing out their 401k at work can put away an extra $1,000 per year into a Solo 401k as an employer contribution. That’s not so bad. If you’re really good and able to make a ton of side hustle income, you can put away even more. But the real benefit to a Solo 401k is if you’re like me and don’t have a 401k at work. Then you can really crush it by putting away almost all of the side hustle income you earn. If I’m able to keep making around $5,000 or so per year from side hustles, I can easily put away over $4,500 every year just from my side hustles. Let it compound over time and we’re looking at nearly half-a-million dollars in 30 years. Imagine how awesome that would be if I could say that I had an extra $500,000 in retirement because I spent the last 30 years working a few hours per week as a lowly delivery man. For all you side hustlers out there, are you using a Solo 401k? Do you use a SEP-IRA instead? How are you saving that money away? I refer to independent contractors a lot in this post, but really, I just basically mean any type of self-employment activity. You only need two things to be eligible for a Solo 401k – self-employment activity and no full-time employees. Most people doing side hustles like Uber or Postmates don’t realize that this activity counts as self-employment since you’re working as an independent contractor, rather than an employee. For other reading, consider reading my post on how this might be the easiest time in history to start up a side hustle. As a corollary, it might also just be the easiest time in history to save money for retirement. Consider also reading my post on how your side hustle is worth a lot more than you think. You’ll be surprised at how much your meager side hustle earnings can add up if you can stay consistent. Also, check out the underrated value of a side hustle for early retirement. Note: I’m by no means a tax expert. Consult your accountant or CPA before acting on anything I say! I was under the impression that you could still open a Solo 401k through pass-through income in a side hustle as well. Meaning that you could have an LLC that is taxed as a sole-proprietorship with pass-through income, you could still open a solo 401k. I don’t have any side-income hustle, but would want to set things up as soon as I do have ancillary income. I’m definitely no tax expert, so I have no idea to be honest, but I’ll try to do some research and give a more intelligent response. What type of side hustle are you thinking of doing? Really was thinking just more in terms of the side hustler’s out there doing a sole proprietorship thing, like what I do in my spare time with Postmates. If you talk to 99% of Uber or Lyft drivers, they probably have no idea that they can save money in this way. I know I had no idea when I started trying out these gigs economy apps. Sometimes research companies collect market data from physicians through surveys. This is a relatively easy way to earn some side money (although this data collected often generates big revenues for the company) without significant effort. The downside is that the availability of these opportunities can be limited. You might not get invited to a survey for months, and sometimes you don’t qualify for some reason or another. I’d imagine that if you are the only employee in your company, you might not never need an EIN. That’s a pretty easy way to make some side income. I know a couple of physician assistants who do soap notes on the side. (is that what it’s called?). They don’t make a ton doing it, but it brings in some decent income. Only problem is that they already max out their 403(b)s at work, so they’re fairly limited in what they can put away. The only reason to get the EIN is because you need one to set up a Solo 401k. It literally took me 5 minutes, and its all done online. Not a bad thing to just have in case you need it I feel like. You’re absolutely correct. I tried to get an EIN today, but apparently you can only request one during weekday business hours! I wonder if Fidelity can get one set up by the end of the year. How long did it take for you to get your Fidelity account active after you sent in the application? I’d say it took me about 2 business days once I sent the forms in. I admit it’s definitely cutting it close. I only just got mine set up last week. If you’re not sure, I’d definitely give Fidelity a call and see if they think its doable in that time frame. I imagine there are a ton of people still out there trying to get there accounts opened before the end of the year. You shouldn’t have any problem opening up a Solo 401(k) with a single-member LLC. 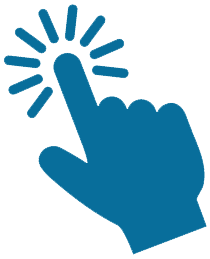 It’s not that the LLC is taxed as a sole-proprietorship, but that an LLC doesn’t exist for tax purposes (unless you make an election for it to be taxed as a corporation). In a single-member LLC the income is going to “pass through” directly to the member, whereas in a multiple-member LLC the income would “pass through” to the partners as if they were in a partnership (the LLC would generate K-1s for each partner). I’m looking at this for next year. There is little advantage to me personally as I’m going heavy into a 401k at work, however as my wife dips into the contractor/side hustle pool while being a stay at home mom this will be relevant. Thanks for the timely post. Happy holiday. Right, if you’re already going all out on the 401k at work, then you’re going to be limited in one you can put away. For your wife though, she could potentially put away a ton with a Solo 401k. Way more anyway then she could with a SEP if my calculations are correct. I was personally shocked to find out that I could basically put away almost everything I earned, since I don’t have a 401k at work. It’s a big bonus for me. I just may do this. I was hoping I would have until mid-April to make a decision on funding it for 2016. It appears I had better act fast! I already fully fund a 401(k), so I cannot make employee contributions, but my understanding is that I can contribute 20% of profits as an employer contribution. Thanks for the most timely write-up! If you’re already funding your 401(k) and you’re not doing backdoor Roths, then you can probably just open up a SEP IRA. With a Solo 401k, you need to open it up by December 31st, but you can fund it up until April. With a SEP, you can put away 20% of your side hustle earnings (like with your blog) and you have until April of next year to open that one up. So you’ve still got time to think it over. That’s more complicated than what I know unfortunately. Would need to talk to a tax person who knows that stuff. This is AWESOME! I’ve heard of these accounts, but definitely need to brush up more. I totally see this in my future. Excited for 2017! Thanks for sharing! Set it up for next year for sure! No one talks about these, but it’s pretty crazy how much you could potentially put away depending on what your current retirement accounts are. Thanks for this post! I am an Uber driver on the side, and I am really interested in this account. I had previously been under the impression that I could only contribute the 20% employer limits. Is this 20% of gross receipts or net of expenses? I actually take a “loss” each year doing Uber because of so many miles driven. But it is nice cash flow right now because my car is already paid off. So you have to first calculate it based on your net operating profits. So basically, what you earned minus all deductions you take. So if you make $5,000 a year but are also deducting $5,000 per year, then you’re making zero for the year and can’t put anything away. That sort of makes sense when you think about it, because when you’re deducting expenses, you’re not paying any taxes on those earnings anyway. Awesome post! I’ve been curious about these for a while. Sounds even easier than I thought to set one up. Great job maximizing your contributions, FP! Was very surprised to see how easy it was to set up. It’s definitely not as easy as opening up an account with a Robo-Advisor, but it’s much less scary than I thought it would be. Not a bad idea to go with a SEP just to get some of that money put aside. One thing to note, since you’re self-employed I believe, you’d most definitely be able to put the most money away per year with a Solo 401(k). Great article! I’m in a similar boat to Physician on FIRE above as my wife and I both have our 401k’s maxed out, but for our side hustles, maybe there’s something to that 20% employer contribution. I wonder if some careful analysis on the tax strategy might be in order, though. You touch on it for your reply to Josh, but let’s say that instead of taking deductions to reduce your net profit to zero, you take no deductions and can invest (sheltered) $1k of the $5k profit? This early in the morning I’m not thinking about it too clearly, but there is likely a tipping point where you might be better not deducting certain expenses to get at the 20% of profit to shelter in the solo 401k. That’s a great point and not something I had thought about. I haven’t done any math at all. but I’d think that deducting would always be in your advantage. The reason why is because when you deduct, you pay no taxes on any expenses you deduct, since obviously, there’s no profit to tax. The deduction is ultimately just the way to tell the govt that you’re not actually getting all of the money you received because you had to pay expenses. So if you don’t take a deduction when you have the right to it, you’re basically paying extra on profit that doesn’t exist. Remember, when you’re self employed, you’ve still got those self-employment taxes (i.e. social security and medicare) that you have to pay no matter what. What made you go with the Solo 401k over the SEP-IRA? I had heard the Solo 401k are much more difficult to set up than a SEP. I’m curious to hear your thought process on picking between the two accounts. Thanks for sharing! I touched on this in the article and its definitely something I’ll probably go in depth more in a future post. Basically, the primary reason is that a Solo 401(k) let me put the most money away. Since I don’t have a 401(k) at my current job – I have a 457 plan at work – going with a Solo 401(k) essentially lets me put away almost all of the income that I earn in my side hustles. The second reason is to leave the option open for me to go with a backdoor Roth in the future. Having money in SEP IRAs triggers the pro rata rule, which basically makes backdoor Roth’s impossible or much harder to use. I actually still have about 650 dollars in a SEP IRA from 2015, (before I learned about the Solo 401(k)) that I’m planning to roll over into my Solo 401(k) as soon as I can. Is the employer contribution limit 20% or 18%? And if I have a EIN number, so I have to report that number rather than my social security number to count it as independent contractor income. And does independent contractor income mean I have to pay the employer contributions for FICA and Medicare (~7%)? The employer contribution limit is basically 20% of your earned income minus deductions for self employment taxes. I’ll definitely touch on this more in a future post because it’s definitely confusing in figuring out the limits (I’ve had a ton of trouble figuring this out), but here’s basically how you do it. So lets say you make $5,000 after taking your normal deductions. You can’t just contribute the full $5,000 though because you still have to pay self-employment taxes on that $5,000, which basically comes out to 15.3% (7.65% as the employee and 7.65% as the employer). BUT, half of that 15.3% is a deductible expense, just like any other expense you might deduct on your earnings. And the government doesn’t make you pay SE taxes on that amount. In order to calculate this, you take the $5000 you earned and multiply it by 92.35% That’s because 7.65% (remember, half of the 15.3% SE taxes) is deductible. So now your total taxable earnings for the year, after deducting half of the SE taxes, are $4,617.50. From there, we take that $4,617.50 and multiply it by 15.3%, which represents the actual SE taxes owed. We don’t have to pay SE taxes on the portion that’s deductible. That leaves us with total SE taxes of $706.47. From there, we take the $706.47 and multiply it by 50%, which represents your portion of the SE taxes. Now we’re left with $353.23. That’s the total SE taxes owed by the employer (which is you in this case). Then we go back to the original $5,000 and subtract the $353.23 of SE taxes that are supposed to be paid by the employer. That leaves us with $4,646.77. If you have enough 401(k) space already, then you can just throw all that in as your employee contribution. You’re done. But, if you’re just trying to calculate the most you can contribute as an employer, then you take 20% of that $4,646.77 (which represents the amount earned minus deductions for half of the SE taxes). That gives you a total of $929 eligible as an employer contribution. 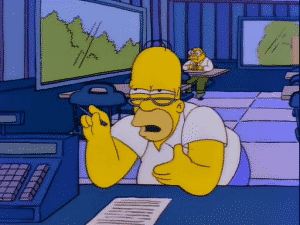 With regards to your second question, the EIN isn’t required to count as independent contractor income. It’s independent contractor income if you’re paid via a 1099 or basically in any manner in which you’re not an employee. And yep, you have to pay the employer portion of FICA, which is all calculated into it if you follow the steps above. I’ll definitely try to flesh this out in a future post. It’s definitely complicated. If you’re not sure, definitely look at any Solo 401(k) calculators out there to confirm. 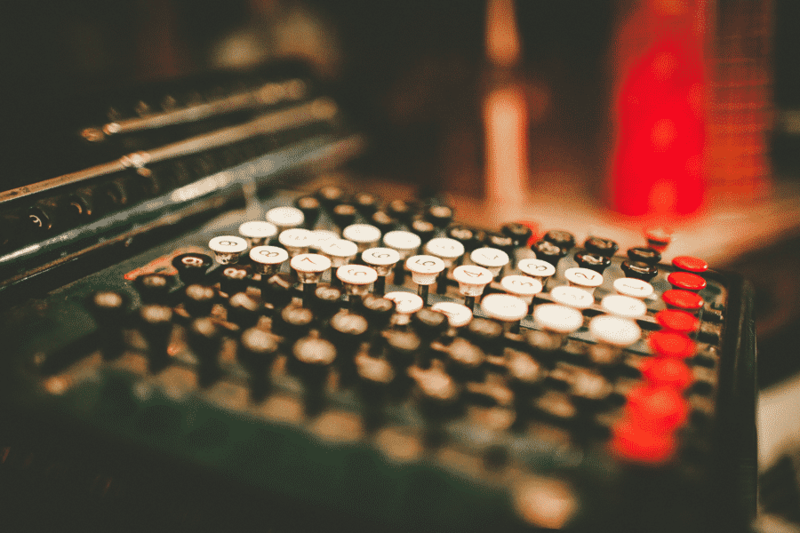 Since it seems so difficult to figure out what exactly is 20% until you get a 1099, would you suggest making a lump sum contribution into the solo 401k once a year before the April deadline? Yes, I’d highly recommend doing a contribution only once per year after you’ve done your taxes, figured out your deductions, and made accurate calculations. It’s way too hard to figure it out as you go. Thank you for the insightful post! I just started my first side hustle about 6 months ago, and I haven’t given much thought to starting up a solo 401k. It’ll be something I’ll consider next year! Glad it was helpful! 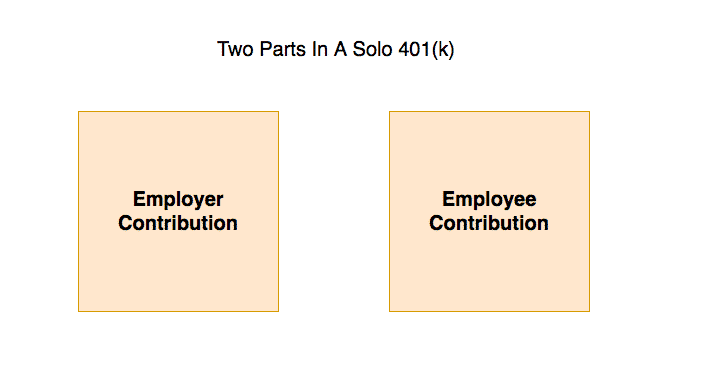 I’ll have a future post about the differences between a Solo 401(k) and SEP IRA. I still think Solo 401(k) is the way to go for majority of people just because of the potential of being able to save way, way more in it. Super high value post. I’ve been investing in a solo 401k for the past 4 years and love it! That’s awesome! You’re self employed right? How much are you able to put away in it every year? I’m guessing a ton! That’s a good point about being able to put a lot more in your solo 401k if you only have a 457b at your work (I’m in the same situation currently). I have an old solo 401K that I set up doing locums for 6 months a while back and it saved me this year because I was able to use it to roll a sizeable IRA into the solo 401K, so I could do the back door Roth IRA conversion. I don’t understand all the tax laws but I do know that if you have existing non-Roth IRAs, you get taxed on them if you do a Roth conversion, so this is another benefit of a solo 401K (it lets you roll over non-Roth IRAs). However, comparing Fidelity and Vanguard (I looked at both), only Fidelity had the option to roll other accounts into their solo 401K so I went with them, and Vanguard did not (otherwise I would have done Vanguard for sure). Once it’s opened up, you always have it, so the type of earned income can change. Although I used to use it for locums, I can now use it for anything and I have it for life. That’s why anyone with a side hustle should open one now – and given the ability to roll other types of accounts into them (at Fidelity anyway), they’re remarkably flexible, so I’m a huge fan. Now I just have to figure out how to make extra $ on my own on a 1099 basis so I can contribute to my solo 401K again! Maybe I’ll try that survey idea above. Thanks for this post – very helpful! The savings accounts rly worked out for me so i know this would be of great benefit if is coming from you, i want to know who is elegible for this? Aside from uber, post etc, i work in a beauty supply and at first the owner asked me on the interview if i wanted cash or by the law to let him know, i was so focus on getting the job that i didn’t mind but now i’m always getting my pay in cash i never signed any contract to work there and yet ‘ been there 4 months, i do pay taxes every year, am i elegible? So, you’re eligible for a Solo 401k if you’re earning any form of 1099 income that goes on a Schedule C. If you’re doing Uber and Postmates, then you’re technically self-employed, and thus, you can use a Solo 401k. Just make sure you calculate how much you can put into it. You’ll need to talk to a tax person or do a bit of research to make sure you’re calculating it right. As for the beauty supply thing, I don’t really know what’s going on there. Do you have to file any forms to the IRS as the “employer”? Nope. All you do is set up your Solo 401k, then just make sure that you don’t contribute more than you’re allowed to. 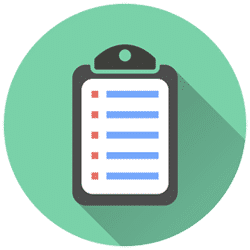 Have you heard about getting”check writing privileges” for your solo 401k? Apparently a way to invest those funds into real estate or other alternative investments. I have not heard about check writing privileges and don’t know what that means. To be honest, I’m really boring with my investments, so don’t really feel the need to dip into the alternative investments. Maybe one day I’ll have so much money that I don’t know what to do with it, but for now, I just do boring stuff. Sweet, thanks for the post. I am currently setting up a solo 401K account with vanguard. My question is this. I’m a city worker. I contribute to both a 403b, 457, and an IRA and will max it out next year (18.5k + 18.5k + 5.5k = $42,500). Can I also set up a solo 401k? I’m a dental hygienist. I sometimes fill-in at offices and sometime pay me 1099. Last year I didn’t get any 1099, this year I’ll prob get $4k-$5,500. For the convenience, will at SEP be better? Next year I might not get any 1099 or get several thousands. With a solo 401k would I need to open a checking account for the 401k? Also its SEP? Do you have a 401k at another job that you max out already? If not, I’d recommend the Solo 401k because it’ll allow you to put more away. SEP-IRA is limited to about 20% of your 1099 profit. But a Solo 401k allows you to also make an employee contribution (remember, you’re an employee and an employer when you’re a 1099 contractor). I don’t get a 401k from my current employer. We make sure my wife max hers. Being a being hygienist is weird. 90% of office only hire you part time so they do have to give you benefits (horrible career if you don’t have a spouse with great benefits). Office then use a temp agency (specially for dental) for days their hygienist is out. When you temp at these office they will either pay you W2 regular payroll or 1099. In the eyes of dental association and I guess irs it’s illegal cause hygienist work under the doctor, but they still do it anyways. Last year I didn’t get any 1099. This year I moved and temping more so I think I’ll make $4-5k. I get screwed cause I have to cover he employers portion of employee tax. I’m thinking about opening SEP IRA. It’s simple, to set up, I have until tax day the following year unlike solo 401k it’s calendar year, but I can’t put as much as solo 401k upfront. I’m not sure if the extra steps on contributing to solo 401k throughout the year as employee then as employer matching for making several thousand. One down side is the Backdoor Roth pro rata rule with SEP IRA. We plan on leaving our jobs in the next 3-5 years. I could be wrong. It’s nice having other options from others with side hustle and the FI mentality. So in your situation, I would definitely recommend doing a Solo 401k instead of a SEP-IRA. Like you pointed out, it’ll make it much easier for you if your income gets over the Roth limits and you need to do backdoor Roths. And with the Solo 401k, you’ll be able to save more by making employee contributions to your Solo 401k. The process is really not that hard. You just fill out some forms and mail them in. I set mine up with Fidelity and it was easy enough to do. And the Fidelity Solo 401k has no fees other than the expense ratios of the funds you invest in, so there’s basically no downside to opening up a Solo 401k with them. Just make sure to get it done before December 31st. Here’s a post I wrote about how I set up my Solo 401k with fidelity. With all your side hustles how and when do you add money to your 401k throughout the year? For a SEP you can just wait till you get the 1099, then add up gross income minus expenses and that 20% of the net before tax filling. I just do my contribution to my Solo 401k once per year, after I’ve done my taxes. Contribution deadline is by your tax filing deadline, so you know what you can contribute when you do your taxes. It’s actually the same process as what you would do with a SEP.
Do you know how you can rollover a solo 401k into an IRA? Basically I’m just looking into ways I can access these funds before 59.5. I would like to be able to convert these funds to a Roth IRA in early retirement, so then I can withdraw the contributions in 5 years. I believe you can just rollover any Solo 401k into an IRA, same as you would for your 401k at work. Solo 401k is literally a 401k, just that you’re the employer that created the plan.